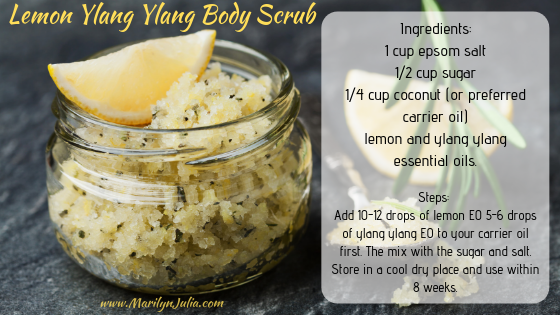 Apr 10 Holistic Healing Recipe: Lemon Ylang Ylang Body Scrub for Spring! Spring is here! Engage your sense of smell and touch with this invigorating and uplifting body scrub recipe by me! Lemon is a scent that inspires positive feelings of hope and joy so it’s a great one to use when you are experiencing low energy and depression. Ylang ylang is a love herb that opens and heals the heart which is needed to release any pain and trauma from seasons past so you can move into spring renewed and ready! Use this scrub with intention. Practicing mindfulness, pay attention to scent of the scrub and how it feels on your skin as you use it. Visualize anything that is not serving you being scrubbed away and washed down the drain. Express gratitude for the opportunity to create a new beginning at any moment. Comment below if you try this recipe and let me know what you think! Mar 19 Reclaiming Your Personal Power in Spring!